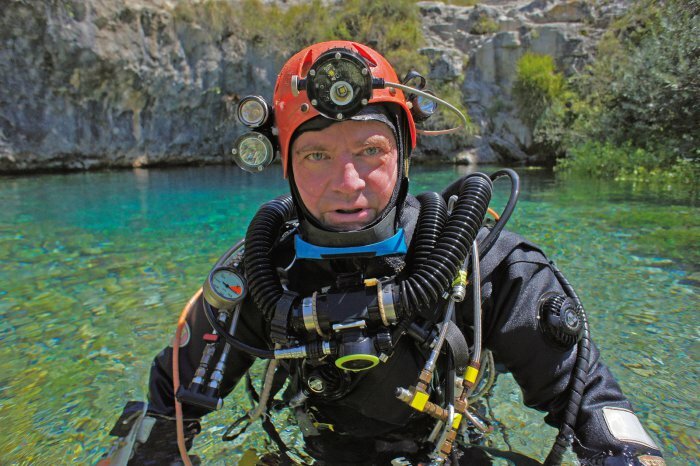 Martyn Farr, author of The Darkness Beckons, talks about some of the pioneers of cave diving who have inspired him through his career. Thanks to him for his blog tour stop on Click-Dive.com ! 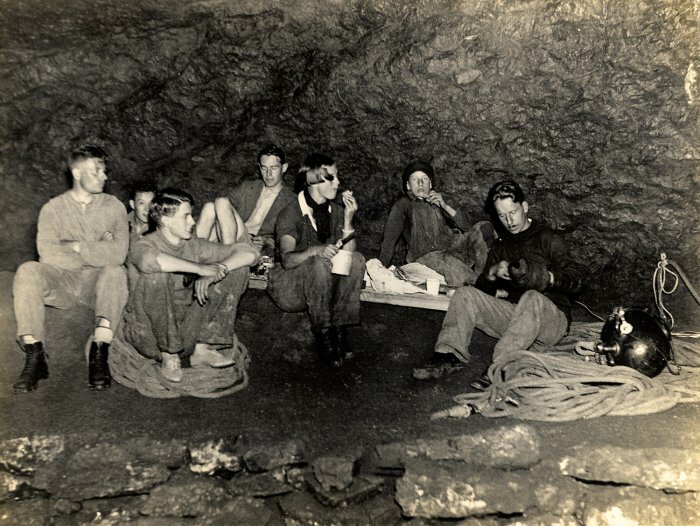 Shortly after I started caving at the age of ten, I joined Hereford Caving Club. I was surrounded by many active cavers and met many inspirational people. The stories soon started to flow – it was an exciting time. But when I joined South Wales Caving Club (SWCC) at sixteen, I then found that some cavers went exploring the flooded passages as well. It wasn’t until 1970 that I first put my head underwater, and the members of the SWCC were my first mentors. 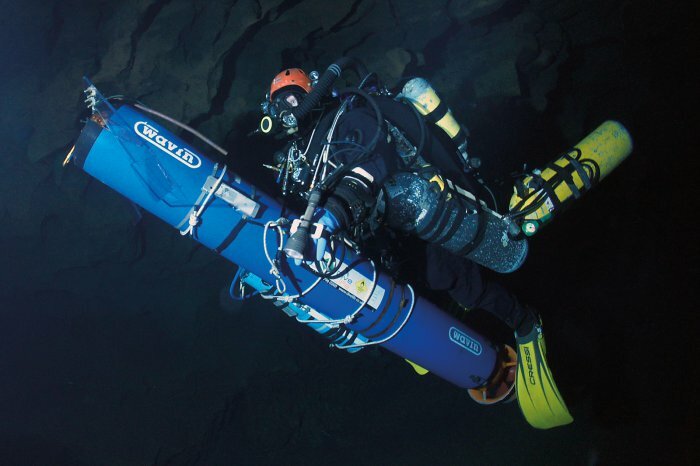 I’ve been very lucky over the years to meet many of the real pioneers in the cave diving world, and it was in the stories told by the members of SWCC that these names started to crop up. 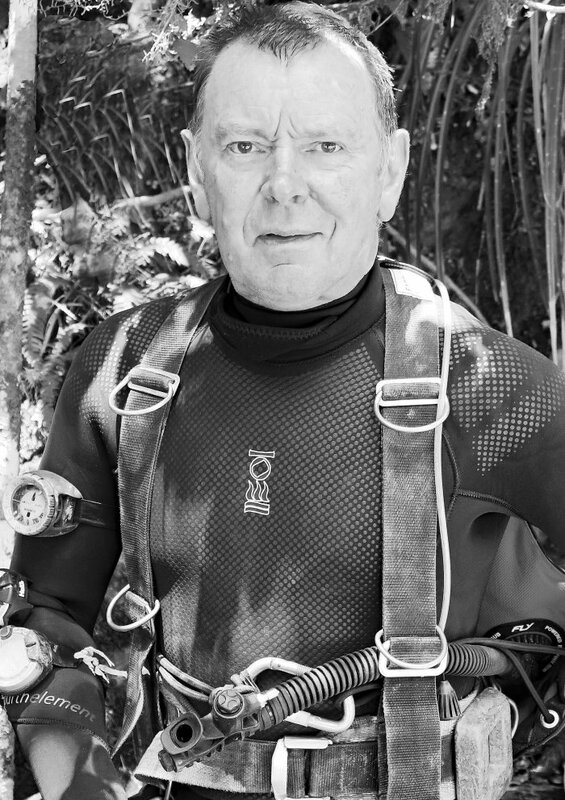 Graham Balcombe, founder member of the Cave Diving Group (1946), was a name that came to the fore early on. When the idea of writing a book first came about in the 1970s, I contacted Balcombe. He would have been in his late sixties by this point, so was no longer active, but I visited him and he showed me albums from his explorations – I was able to learn more about how cave diving in Great Britain had evolved. Balcombe and Jack Sheppard actually started out as mountaineers, and had climbed all over the country, but, as southerners, as soon as they discovered that there were caves to be explored down south this became a more exciting prospect for them. Balcombe first attempted Swildon’s Sump 1 (the feeder cave for Wookey Hole) in 1934, but his initial attempt failed. 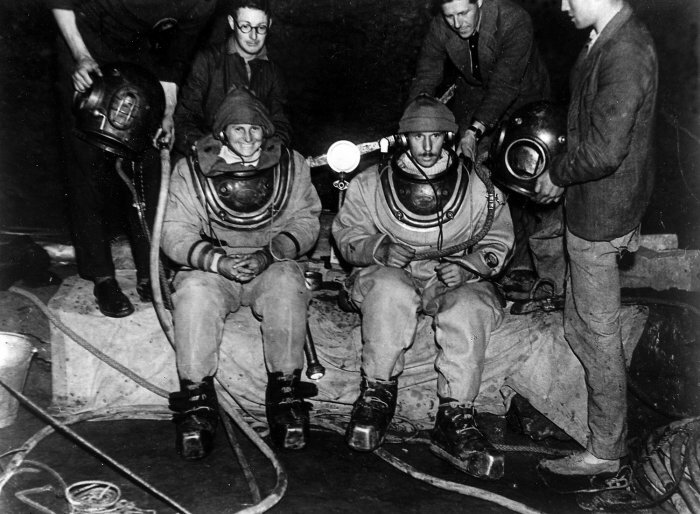 In 1936 he and Sheppard thought their way around the problem and they manually pumped air down to the diver (Sheppard) using a stirrup pump – in doing so becoming the first to pass a flooded section of cave in the British Isles. This approach was a direct response to the previous year when Standard Equipment had been trialled in Wookey Hole, which was the only cave big enough for it to be carried in to. Despite their two successful operations in the Mendip Hills it soon became obvious that for ongoing dive explorations in Britain the gear needed to be completely reappraised. Balcombe began looking into oxygen rebreathing equipment and during the Second World War years he modified it and trialled it at Keld Head in Yorkshire. As the war came to an end, this equipment became more widely available to the few activists at the time. Thanks to Balcombe’s pioneering work, it was used into and through the 1950s. I think it was 1975 when I first met Balcombe, and he could see I was fired with a basic elemental passion for exploration and that I wanted to record the history of the sport. He was happy to help me with the first edition of the book, and he even donated money to the 1976 Wookey Hole explorations. He was just a lovely guy. 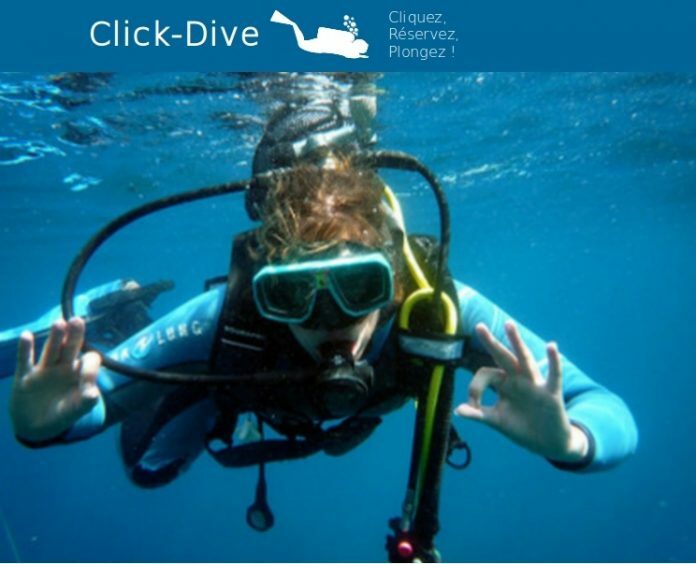 Pearce made two outstanding dive visits to the Gouffre Berger in France in 1963 and 1967, setting outright world depth records on each occasion. We use SRT (single rope techniques) these days to tackle the deep caves, but back then it was wire ladders and the like. Serious stuff. All the equipment was rudimentary, for example carbide lamps. Ken was a hard man, and he made significant advances in Llangattock Mountain, South Wales, right behind my home here in Crickhowell. Not long after my near miss in Dan yr Ogof, South Wales, in 1971, when a faulty regulator nearly finished me off, I got to know another local activist, John Parker. Parker had discovered Chamber 20 in Wookey Hole in 1970, and Chamber 22 in 1971, and in my opinion he was definitely the leading cave diver in Britain at that time. He was breaking new ground on every cave dive. I dived with him in 1971, and was gobsmacked when, with only a single cylinder, he negotiated a passage only 9 inches high – if I’d not seen it I would have thought it was impossible. He was certainly a practical inspiration, but because he could see I was right on his heels he viewed me as a competitor and we went our separate ways. 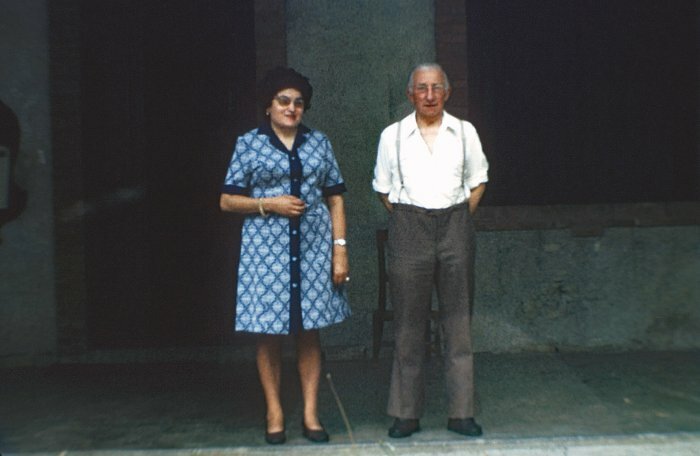 In the 1960s I became aware of the fantastic caving in France and in 1974 I met Norbert Casteret, one of the real pioneers in the French realm. Like many of those pushing the sport, Casteret was an exceptionally hard, physical man. He’d fought in the trenches in the First World War, so cave diving was, in comparison to what he’d experienced during the Great War, all well within his mental capabilities. 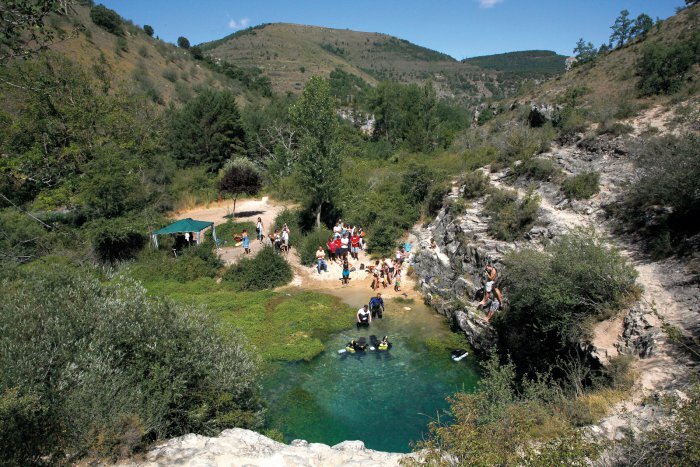 On the occasion we met him we were going to the Grotte de la Cigalère in the Ariège Pyrenees. Casteret let us know that the entrance might be locked; we nodded our understanding that this might mean the end of our trip, and then he said, ‘If it is locked … ’ and gestured a kicking action, ‘we kick it down’. He wanted to make caving accessible, an activity unimpeded by artificial barriers. Of course, in the world of serious technical diving in the 1970s there was only one man in the world: Jochen Hasenmayer. He was definitely the most inspirational technical activist in the world for many years and one could certainly go as far as to use the word genius. His calibre can be gauged by the fact that his were the most notable penetrations at the famous German rising – the Blautopf. He reached 100 metres into the cave in 1961. Again, as a measure of his innovation and commitment, Hasenmayer made himself a drysuit and literally sealed himself inside it – with glue! He was utterly committed to the activity. In 1980 he developed the ‘jumbo backpack’, with four cylinders, and the same year he created the Speleo-Twin rebreather. He took his new gear to try out in France in 1981; in the April he swam with fins for over a mile into the Émergence du Ressel. Back then, the guide time for decompression for this dive was fifteen hours, but Hasenmayer was able to do it in less than four. He was way ahead of the established thinking of the day. Then, just a day or so later, he continued further into the cave using a scooter – the first time one had been used to make such a long penetration. He always kept very much to himself, but credit has to be given to his vision and his achievements. He was the man in Europe for many years. A few paragraphs can’t do him justice: you could write a book on Hasenmayer alone! Sheck Exley was of course the pioneer in the United States, and his many exploits are recounted in The Darkness Beckons. He was making record dives virtually every weekend and was clearly the primary activist in the States as far as we in the UK were aware. I met him in the early 1980s and was struck by how quietly spoken he was – yet clearly with a thinking head and steely nerve. A new generation of pioneers are hard at it today, and people like Jason Mallinson are going so far out on a limb it’s almost incomprehensible what they’re doing at this point in time. It is so futuristic, and requires a combination of everything: physical fitness, mental strength, practical ability and technical knowledge. Everything is taken to the limit, and these guys have dedicated their lives to pushing the boundaries of what’s possible below ground. I count myself lucky to have rubbed shoulders with so many of them over the years.